Live Lent: Let Your Light Shine takes you on a six-week discipleship journey through the Gospel of John, exploring what it means to be a witness to the Christian faith. For each day from Ash Wednesday to Easter Day there is a short Bible reading, a pause for reflection and prayer, and an idea for a simple action that will enable the light of Jesus to shine through your life. Live Lent: Let Your Light Shine is written in association with Thy Kingdom Come, the global prayer movement that invites Christians around the world to pray for more people to come to know Jesus. This is a shrink-wrapped pack of 50 copies. Live Lent: Let Your Light Shine - Pack of 50 by John Kiddle was published by Church House in January 2018 and is our 20850th best seller. The ISBN for Live Lent: Let Your Light Shine - Pack of 50 is 9781781400845. Be the first to review Live Lent: Let Your Light Shine - Pack of 50! Got a question? No problem! 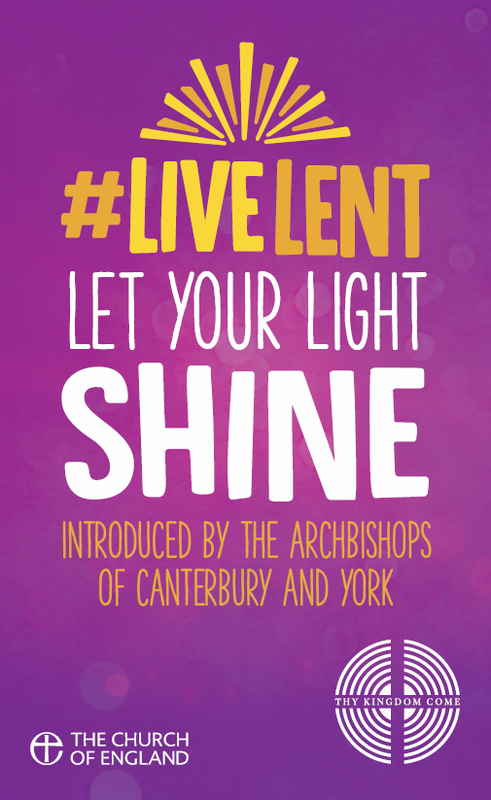 Just click here to ask us about Live Lent: Let Your Light Shine - Pack of 50.